And just like that, it's March! Whew! 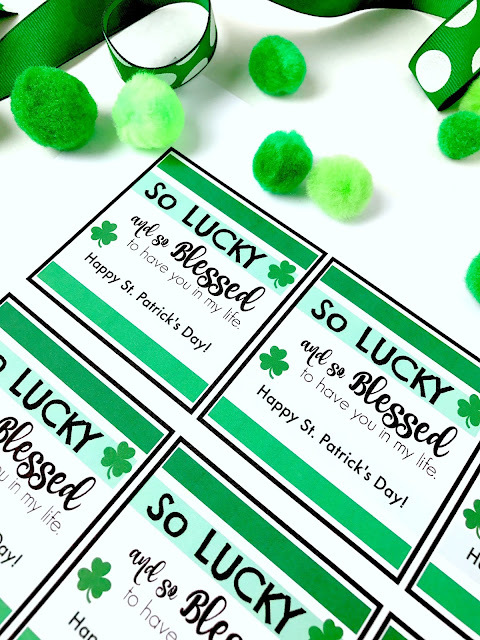 Today I have a little St. Patrick's Day printable for you to hand out to your friends. 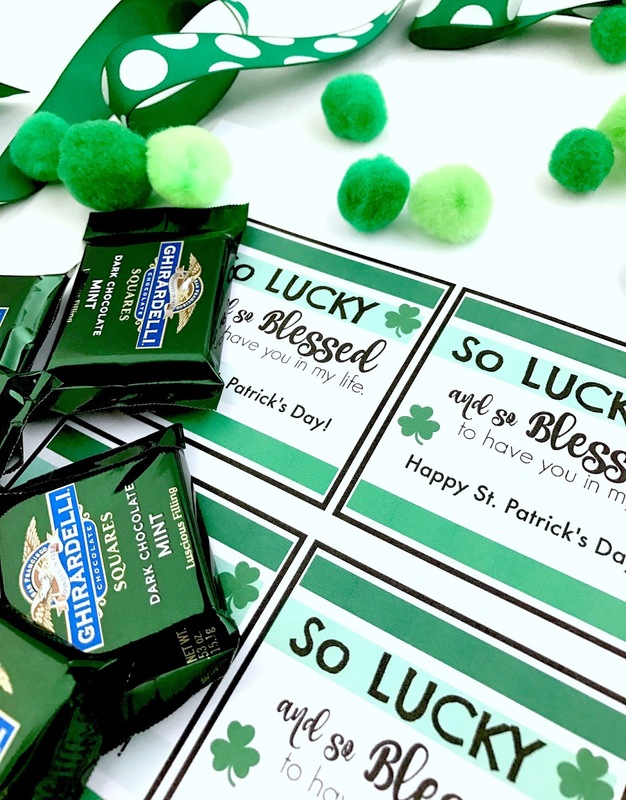 So easy to spread a little St. Patrick's Day cheer around your office, church, community or friend group. 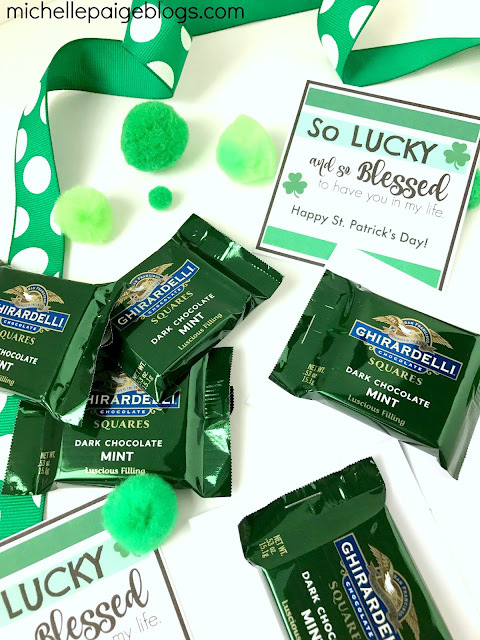 Just purchase these (affiliate link) Ghirardelli Dark Chocolate Mint Squares and print out the tags. Click here to print your tags. For best results print on cardstock. Trim edges. Then staple the candy right onto the back of the tag. Address and sign (or leave blank) and deliver. 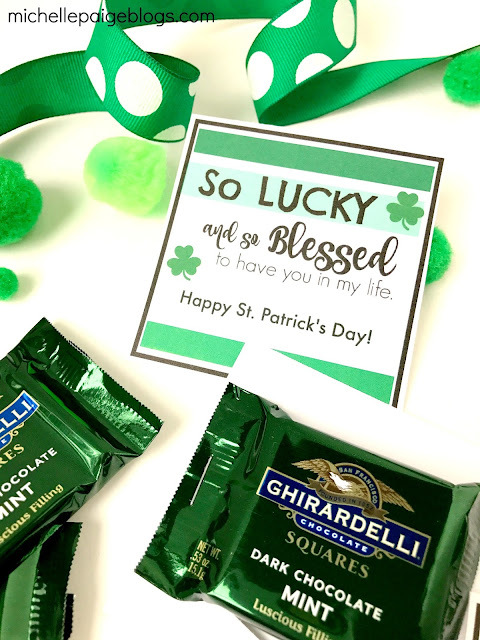 I consider myself very lucky and blessed to have YOU in my life. Thanks for reading my blog.